Please note: this is the new Companion model, the same as our other companion model we have listed. This is the perfect knife for those who want to learn the ancient art of bushcraft. The Frosts 840MG Bushcraft Training Knife has an extremely sharp, High Carbon steel, half-tang blade with a molded handle and grip. We use these knives on our courses - they are tough enough to withstand heavy use whilst still maintaining a razor-sharp edge, making them ideal for a range of bushcraft activities. "My knife arrived today (Wednesday) having been ordered on Sunday. Thank you Greenman! Many words have been written about these knives and I don't propose to repeat them here; suffice it to say that they really are brilliant. This is an upgrade to my clipper. The handle is better in my opinion but the original is still going strong. Many people don't rate the sheaths which come with these. I don't really know why. The new style sheath is much better looking and has a very positive 'click' as you put the knife in, making it feel very secure. The other plus point of these sheaths is that, if you have the high carbon model, you don't have to store the knife outside of the sheath (which you would if you had a leather sheath). They are also very strong, obviously water resistant and will stand up to a lot of wear. In short; great service from Greenman, great piece of kit and amazing value. Don't wait!" "I don’t understand how something so effective is so cheap. I've used it to make a couple of spoons and a walking stave, it’s very good. I have just sharpened it using the Japanese Waterstone - Combination 1,000/6,000G bought at the same time and even though it’s the first time I've done it, the blade returned easily to a razors edge. I would say the back of the blade is rough, but so what? And make sure you dry and treat with oil after every use, mine pitting very quickly (the price, I assume, for easy sharpening). I would say this is one of the best products I've ever bought!" "Bought this knife for my son for when we camp out in the woods. It's a fantastic bit of kit for the price and does the job. He was in the Army for 14 years and reckons it. " "As a novice I picked this knife on two reasons. Reason 1: Swedish made. Means quality. Reason 2: The brilliant reviews. The price was just a bonus, I'd of paid much more for this beautiful knife. Arrived promptly and already used it to carve a spoon. Thanks Greenman Bushcraft! " 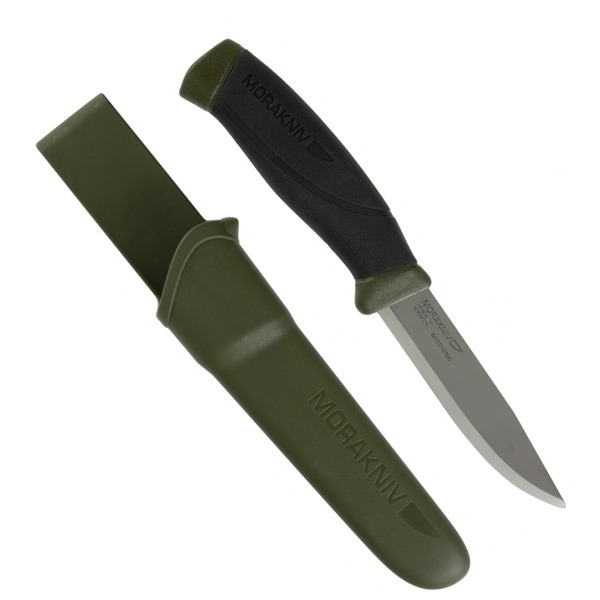 "Excellent starter knife, can't wait to use it and put into practice what I have learned"
"Excellent piece of kit for a first time bushcraft weekend. Whittles wood well and v sharp. Would highly recommend. Not necessary to buy any of the expensive knives first time out. " "Brilliant, especially for £11! No need to buy anything else!" 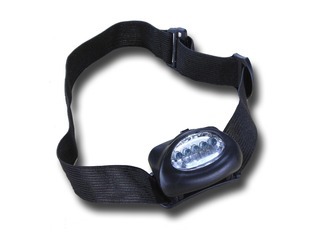 "I have bought a whole bunch of these for my bushcraft school, and I am really astounded at how well they last. I have been using them for over a year with a range of age groups and individual abilities and I have never been dissapointed. They cut and handle well and are easy to sharpen. I really am amazed at the price!" "An excellent little knife for the price very handy and also extremely sharp." "This is such a great value knife and perfect for most jobs, I would highly recommend it to anyone. I don't see any problems with the sheath at all. Great bit of kit!!" "I've owned a lot of knives over the years, and for sheer practicality and price you cannot beat this one. The sheath is rubbish - I would reccomend you throw it away and make one for yourself, but the knife is perfect for pretty much everything. Robust, holds the edge beautifully, virtually indestrucible and at a price that's so cheap it's almost free, why would you bother with anything else? If the Frosts range are good enough for Mors Kochanski, they should be good enough for anyone.... Whether beginner or expert you can't do much better"
"I bought this knife about 2 years ago it has had a moderate amount of use and it is still strong and sharp it had been smacked with rocks leaving less than a scuff that can be wiped out of the metal, the grip is comfortable and the blade strong and durable I hope to continue to use my knife for many years to come. An excellent buy 5 stars." "excellent knife for bushcraft,great price very fast delivery five stars xxxxx"
"This knife is a robust, comfortable to hold tool for beginner, intermediate or advanced bushcrafter. 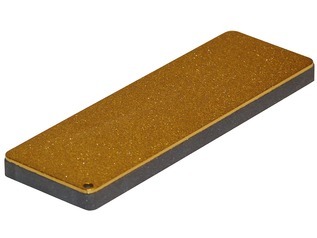 It holds an edge well and can be sharpened and stropped to razor sharp, which is how it is supplied. 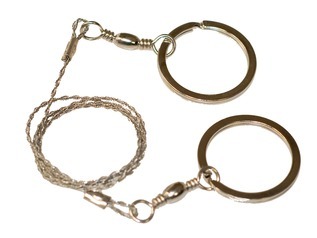 The sheath is simple and effective, attaching easily to a belt or trouser waistband. If you just want a knife that works and are not bother about figured walnut handle and tooled leather sheath there is no better knife." "Exactly what I wanted for my grandson. Great quality at a brilliant price. he loves it. He is in the scouts." "Really impressed with the quality and sharpness for a great price. Everyone should have one." "High quality blade which comes ready and sharp, great quality and well worth the price "
"This is a super knife ...unpacked it and was whittling straight away ...it is nice and sharp ...how they can sell them for the price amazes me ...and a nice sheath to boot....dont think about it ...BUY!!!!!!! it ...you'll be well pleased ....Jon "
"A really excellent knife, I've owned mine for a little over 5 years now and it's done everything I've ever thrown at it, despite the fact that it hasn't always been as well cared for as it should have been. I wouldn't hesitate to recommend this to anyone." "I have mine on order and I'm extremley excited can't wait to get it! I get through knifes monthly, hopefully this will stand up to the mark. " "This is a fantastic knife for the price, I had the original clipper and this companion is a definitely much better upgrade model. 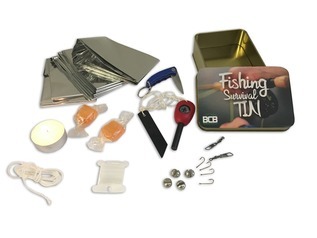 Best buy I have found online anywhere, thanks Greenman Bushcraft!" "Really good nice. Great quality for a great price. Comes nice and sharp ready to use. Also never seen such fast delivery ordered at 4pm Friday and delivered 9am Saturday. " "No one has ever found fault with these knives...Buy one!" "bought a couple as so cheap - and I can see these as not just training knives but useful for experienced and pro alike - as U state very easy to sharpen - was not expecting it to be literal but it is and handling and ergonomics well show me better!! A little knife with a big heart I take one with me for simple wood craft and for fine work - U could do a great deal with this - You would have to get one to see what I mean - if the pros teach with these that's telling U something - and now from practical experience I am bemused at it's capability. Only one small issue I like my Knife equipment FULL TANG but I think so long as U don't smash this with a heavy stone like U can with the Ka Bars and MODs U cannot go wrong - Surprise it's indispensable to me!!!!! Greenman addition: Full-tang would be nice, but they do now have a longer tang (nearly full). In the thousands of these we've sold, we've never had one returned do to any weakness, so they should work well for all jobs :)"
"Brilliant, good quality , really sharp comes with a clipped sheath aswell "
"Great value knife. I had two arrive today and they are superb value for money. (I wonder if they would show this if it was a negative comment?) 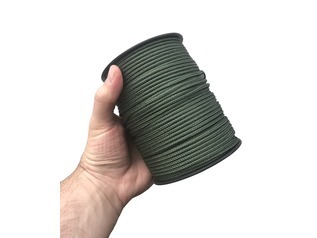 Greenman Bushcraft - Yes, we always show fair reviews. Reviews sometimes take a little while to show though. " "knife very good, wonderful quick delivery, will use again"
"having just purchased my first bush craft knife(frost mora) i would not hesitate to recommend this any one else just starting out the difference compared to a ordinary knife is amazing. and now i know i will investing a higher grade blade. be warned these knifes are razor sharp.! mind the kids.. seriously .!!" "Excellent knife. Brilliant quality well worth the money. This is truely a great knife especially for the first knife. amazing knife!" "I was given one of these and was surprised to find how cheap they are for how good they are. 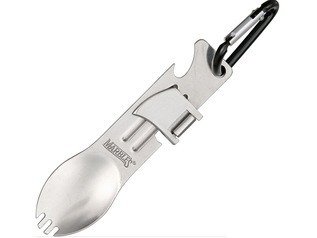 As a Scout leader, I teach young teens knife safety and care as part of the lead into a camp, and I always recommend a Mora as a good all round knife. Especially the carbon blade as it is easy to sharpen, keeps a good edge for a long time, and, I believe, represents the best value for money." "great for beginners i didnt want my son to have one but this is great for him if your son/daughter wants one then buy it for them "
"Fantastic knife, fantastic service! A superb little blade, razor sharp and sturdy. Would suit any crafter, new or seasoned... buy one!" "Greenman service was brilliant and knife is incredible value. Really impressed! " "My wife and I have recently enjoyed a Bushcraft weekend where everyone is issued with this Knife. I can see why, it is sharp, lightweight , with an easygrip. So good we bought one at the end of the course. Highly recommended ." "Fab knife, but I knew that before I placed an order. The service from Greenman truely is the best iv'e come across (take note other suppliers). " "Mora was my first knife for bushcraft, I now have a Helle, but I take this as a spare as it is so light. very good"
"Great knife, great price. I've abused mine for about three years now and it's still going strong. strong enough and cheap enough to use for batonning without fear! " "Great knife better than a lot of more expensive knifes on the market"
"I really am very impressed by this knife. Great quality blade & solid, grippy handle. Can't wait to use it. Excellent value for money. I'll probably buy the orange High Viz version, too, at some point. " 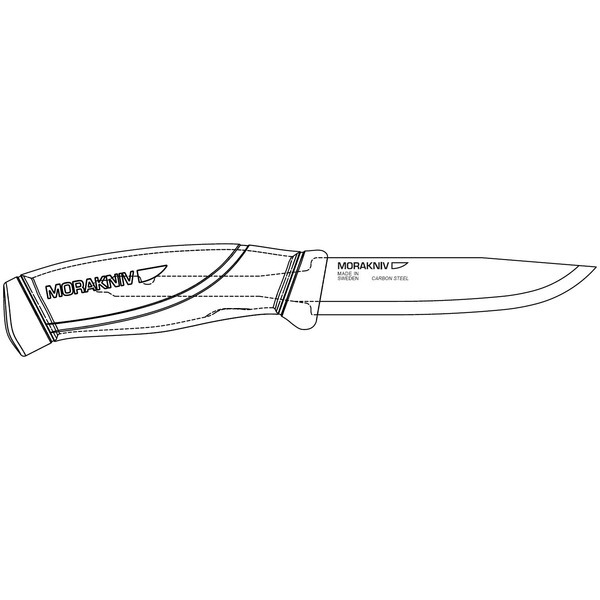 "POS - excellent quality blade, handle and sheath; light weight; easy to handle NEGS - sheath doesn't have holes for leg ties OVERALL - Brilliant first time knife, only beaten by the Falkniven F1 (£90+). Wish i knew about the Mora before wasted money on other knives (more expensive, less quality. Rapid delivery." "this is a very great knife razor sharp straight from the factory"
"This is to be honest one of the best knives I have ever owned, mine is the older version with a solid green handle but it is still extremely comfortable to hold and does a huge amount of work for me while holding its edge incredibly well. I have used mine daily for 4 years now and would now feel lost without it. To summarise it is a phenomenal quality blade at a truly bargain price. " "What an excellent knife. They really are as good as everyone says and for the price, you'd literally be silly not to buy one!" "I am so impressed by this knife that you would not believe it, it sits beautifully in the hand and the handle makes it so comfortable that you just don't want to put it down. The knife comes ready to use with the blade so sharp that very little effort is needed to cut or carve the thickest of woods, all of this and this is the starting point of the range. If you want a knife that you can rely on in at a moments notice then I truly believe that you can not go wrong with this knife." "great knife for a great price !" "Wow, just wow. The PERFECT beginners knife, and for those who have years experience but less money. The factory edge is scary sharp. can be used as soon as it arrives. If your thinking about buying this knife. stop thinking and buy it!"